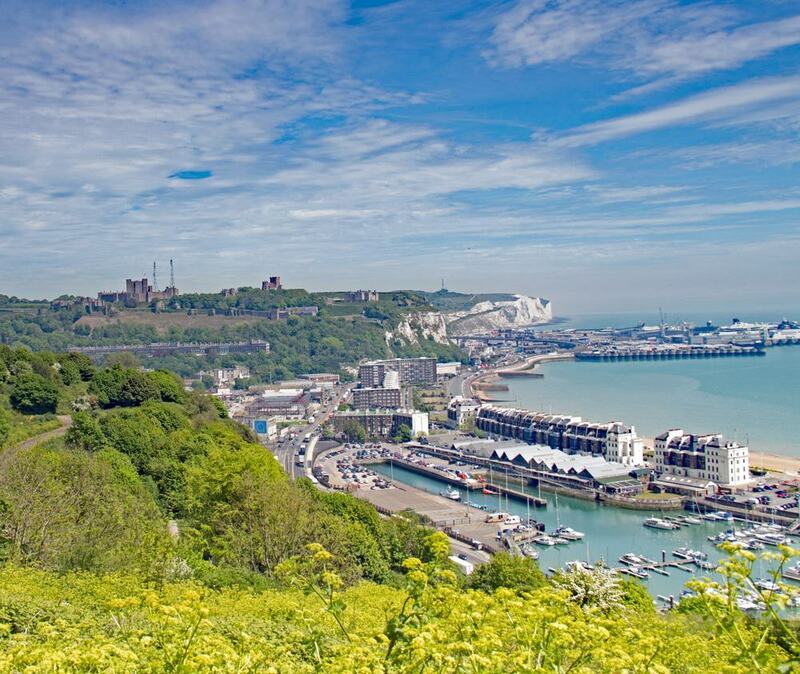 Near the narrowest point in the Channel, the port town of Dover rests in a cleave in the world-famous white cliffs on England’s doorstep. Perched on those cliffs is the largest castle in the country, while the soft chalk is burrowed with military tunnels going back to the Napoleonic Wars. Like many port towns Dover can be a little scruffy, but has loads to keep you interested. 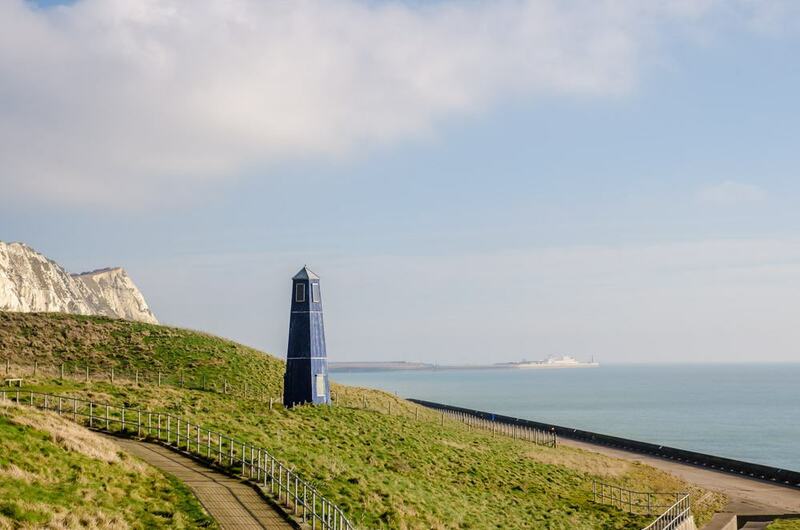 There are National Trust properties like the South Foreland Lighthouse where Marconi conducted world-changing experiments, or Dover Museum, which has a Bronze Age ship in an implausible state of preservation. 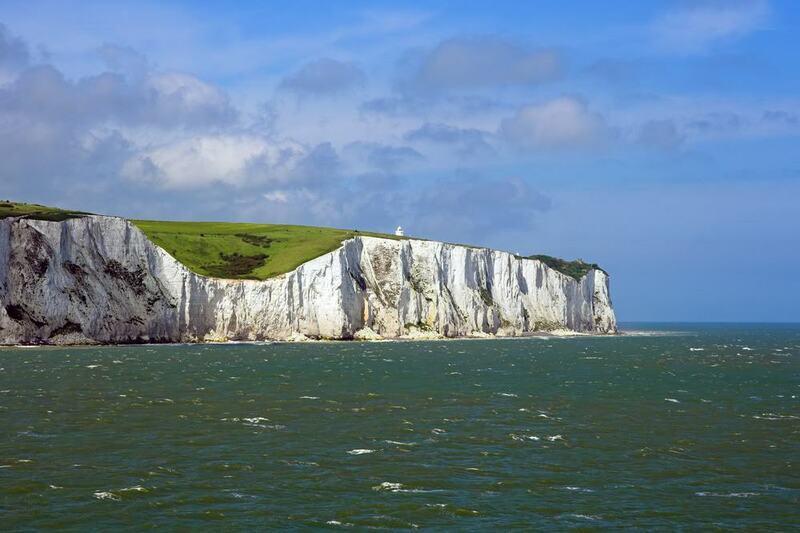 The first sight of England when crossing the Channel, Dover’s White Cliffs rise to 110 metres and continue for eight miles either side of the town. The cliffs are etched in the UK’s consciousness and referenced in culture from Shakespeare’s King Lear to old sea shanties. On the western flank is Samphire Hoe, a country park, which we’ll cover below. The National Trust maintains the eastern cliffs. Getting up to the clifftop requires a tricky climb, but the path soon levels off, and you’ll be rewarded with views across to France on clear days, as well as the port and cliffs themselves from bends in the path. If you’re feeling fresh you can walk the entire stretch to the picturesque seaside town of Deal before catching the train back to Dover. 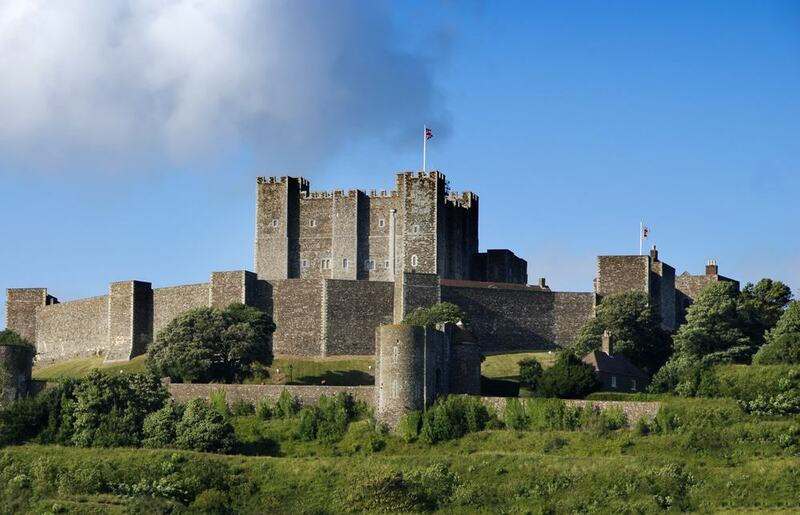 England’s largest castle commands the town and port from Dover’s eastern flank, and has always been trusted as the country’s first line of defence. This roost has been fortified since the Iron Age at the latest, and there’s a vestige still standing from the 1st century in the form of the Roman Pharos lighthouse, which was later adapted as the bell tower for the intramural Church of St Mary de Castro. The castle began to take on its current design from the 12th century in the reign of Henry II and was modified for artillery warfare by Henry VIII. In the Napoleonic Wars a network of tunnels, made up of gun positions and casemates, was dug into the cliff. Later, this became a military command centre in the Second World War, and Admiral Bertram Ramsay conducted the withdrawal at Dunkirk from the complex. In the National Trust site, a couple of miles along the cliff walk, there’s a system of tunnels excavated for an artillery battery in the Second World War and finally opened to the public in 2015. The battery was constructed to attack Axis vessels travelling along the Channel, while the complex of tunnels provided subterranean storage, accommodation, a generator, hospital, washroom and toilets. 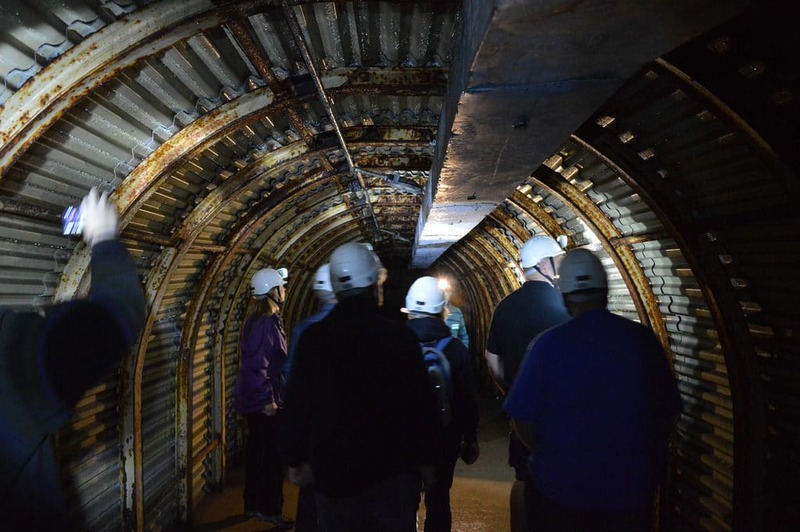 These pitch-black passageways are lined with corrugated steel and you’ll have to put on a hardhat for your tour. After the war the tunnels were filled in and forgotten until the National Trust took over in 2012 and started removing the rubble. Also at Fan Bay you’ll be shown two sound mirrors, one from 1917 and the other from 1921. Before the days of radar these devices helped detect enemy aircraft crossing the channel. At the halfway point on the walk from Dover to Deal, you can descend a winding path in a gap in the cliffs to find yourself on this shingle beach with glorious views of the cliffs. St Margaret’s Bay is as picturesque down by the water as it is when seen from the clifftop, and has a small promenade backed by a small cafe and a pub. There has been a settlement at St Margaret’s Bay since Medieval times, and it was mentioned in the Domesday Book after the Norman Conquest. From the 19th century, a pocked-sized resort flourished here and has received literary figures like Lord Byron, Bond writer Ian Fleming and playwright Noël Coward. 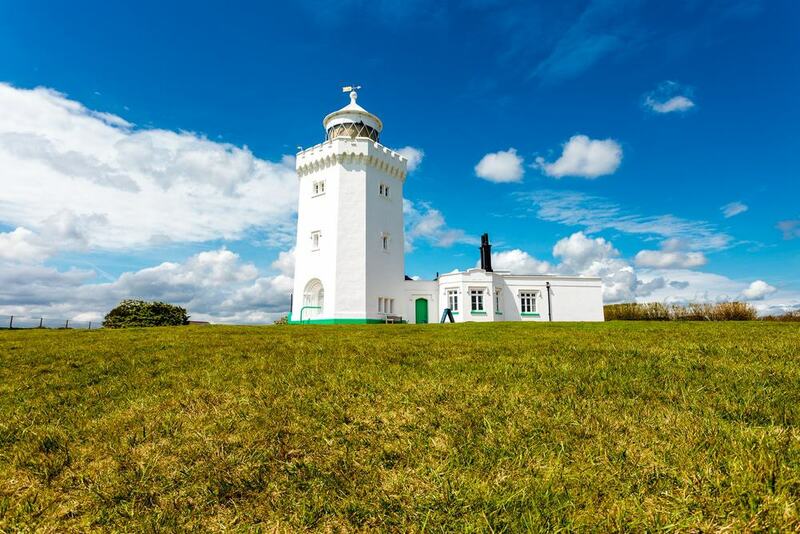 Shortly before you reach St Margaret’s Bay you’ll arrive at the castle-like South Foreland Lighthouse, first lit in 1843 and now a National Trust monument. Although this whitewashed Victorian building is a wonder to behold, and has a supreme view from its lantern, it has an even more exciting story to tell. In 1859 the South Foreland Lighthouse became the first in the world to use an electric light. Later, Guglielmo Marconi used the tower as a radio station, receiving the first ever ship-to-shore message here in 1898, and making the first ever international transmission in 1899 between the lighthouse and Wimereux across the Channel. The light was turned off in 1988, and you can head in to learn about the building’s scientific heritage, as well as the Knott family, a long line of lighthouse keepers who operated this signal and its 18th-century predecessor. 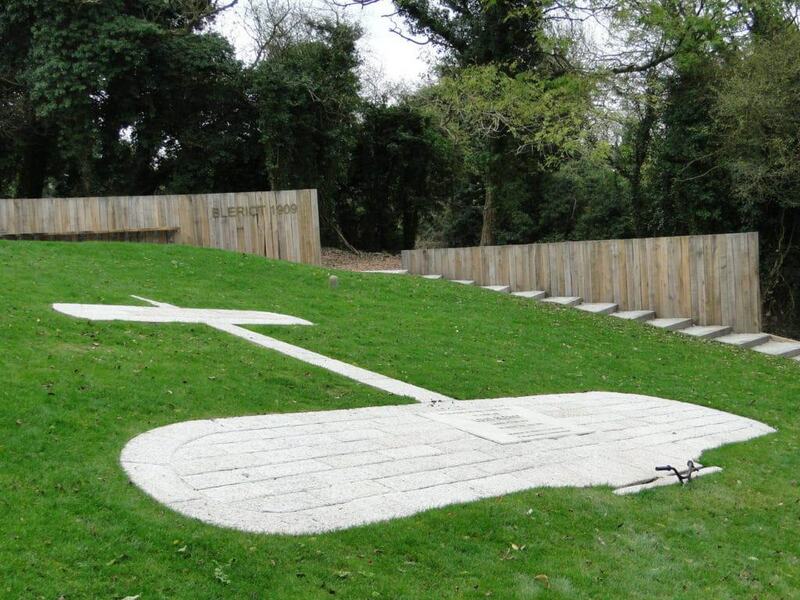 On the coast west of Dover is a country park owned by Eurotunnel, the company responsible for the Channel Tunnel. This is actually a piece of reclaimed land at the foot of the cliffs, started in 1988 using 4.9 million cubic metres of chalk marl rubble from the tunnel’s excavation. The park has a wonderful perspective of the white cliff faces, and people come for walks and bike rides, and to angle from the sea wall. There’s a lot of wildlife if you know where to look. Peregrine falcons can be seen flying over the cliffs, which also support rock pipits and house martins. The name “Samphire Hoe” comes from rock samphire, an edible plant that grows in large quantities on the cliffs and has become fashionable in English cuisine once more. On that sharp descent to St Margaret’s Bay from St Margaret’s at Cliffe, the informal Pines Garden is in six spellbinding acres. There’s a cascade, a pond, a grass labyrinth and a kitchen garden with more than 40 fruit and vegetable species. One of the many special things about Pines Garden is that it’s totally organic, using natural predators to deal with pest, relying on composting for fertiliser. Look out for the Calyx a domed eco-friendly building with a turf roof, powered by photovoltaic panels and a biomass generator and used for conferences and functions. The garden’s adjoining tearoom is open Wednesday to Sunday and there’s a small museum about the history of the settlement. 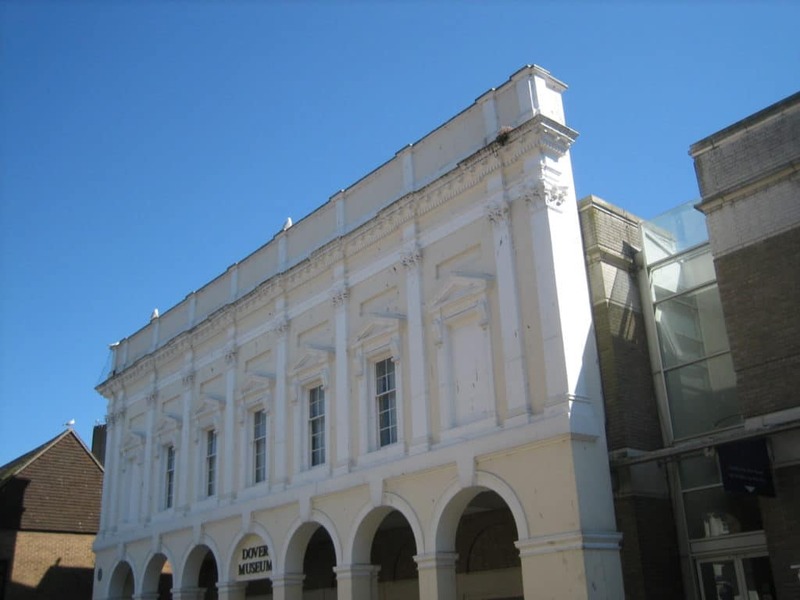 The town’s repository for archaeology and art is an arcaded building constructed in the mid-19th century to house both the museum and Dover’s market. The museum lost two thirds of its collection when it was struck by shelling in the Second World War and its artefacts were left open to the elements in Dover’s caves. But despite that sad past the museum needs to be in your plans, as the second floor is taken up by a Bronze Age boat discovered in an amazing state of preservation under a road in 1992. This vessel, made of oak timbers fastened with yew stitching, is around 3,500 years old, and the museum won archaeology awards when the exhibition opened in 2000. Other worthwhile exhibitions cover the German cross-channel shelling campaign in the Second World War, cross-channel swims and Louis Blériot’s first flight across the Channel in 1909. This 1,800-year-old time capsule was found by workers constructing a road in the 1970s. The Roman Painted House has five rooms of a “Mansio”, a hostel for travelling government officials, dating to around the turn of the 3rd century. Its value lies in its frescoes, which are supposed to be the most extensive Roman paintings discovered north of the Alps. Elements of 28 different panels can be seen, each one with motifs relating to Bacchus, the Roman god of wine. 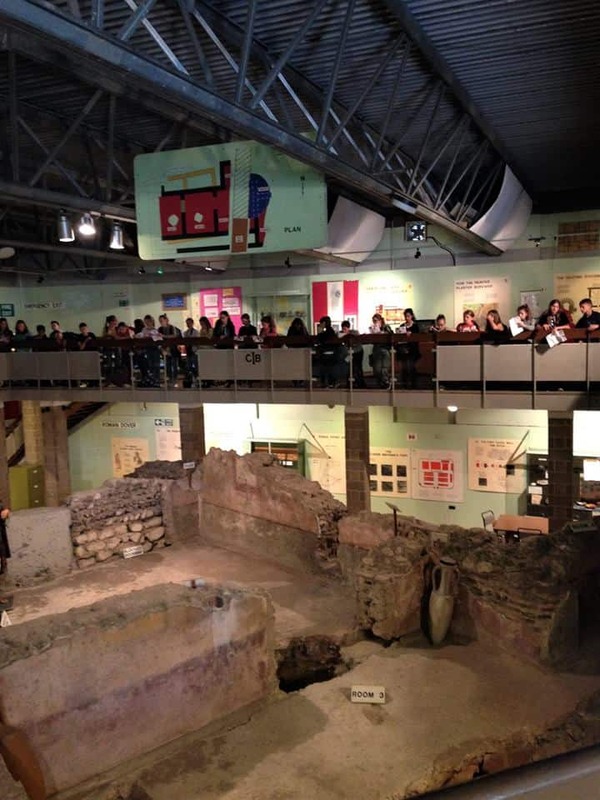 You can also view the Mansio’s hypocaust and check out exhibitions about Roman life in Dover. 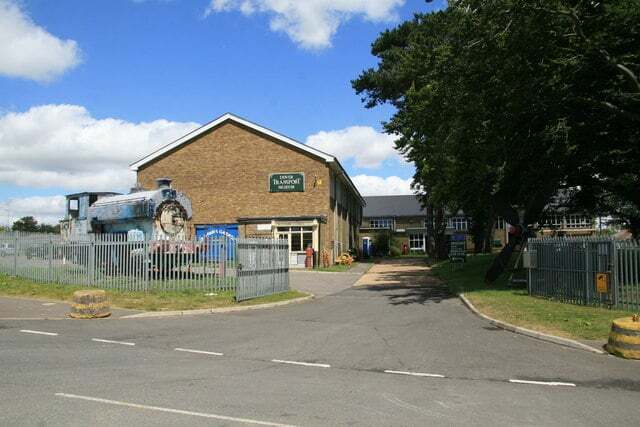 The only transport museum in Kent, this attraction is in a cavernous shed in Dover’s Whitfield suburb. Entering the building is like stepping into another era, to be met by a 1924 Aveling & Porter steam roller, a 1929 Dennis GL charabanc (motorised precursor to a bus) and a curvy AEC Reliance coach from the late-1950s. There’s a genuine Romany wagon from around 1930, as well as an assortment of vintage cars like a Series 1 Land Rover from 1949 and an Austin 7 dating to 1937. This is all accompanied by an exhibition on the World Wars, including a prefab Anderson Shelter, and a model railway that grows by the year. The museum is open Wednesdays, weekends and bank holidays in summer, and only on Sundays in winter. 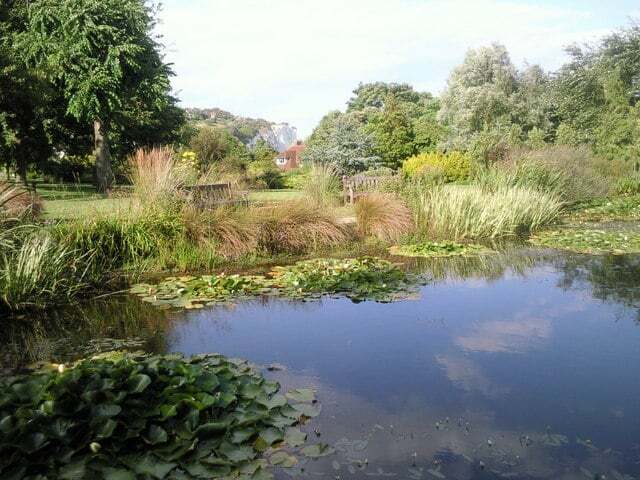 One stop on the train on the northern outskirts of Dover are two of the city’s most cherished green spaces. 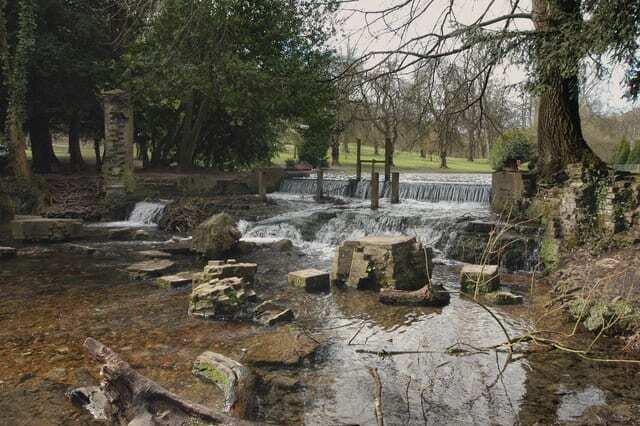 Kearsney Abbey is at a fork in the River Dour, which feeds the park’s two ornamental lakes, wrapped in informal parkland with lofty old trees. This park used to make up the grounds of an 18th-century manor house, the last remnant of which can be found at the former billiard room, now housing a tearoom. Russell Gardens are just across the road and is more formal, having been laid out by Edwardian landscape architect Thomas Mawson. The prettiest sight here is the 170-metre canal pond, with a sweet boathouse pavilion and crossed by Palladian-style bridges. Both parks have recently been allocated Heritage Lottery funding for restoration. The aviation pioneer Louis Blériot made history in 1909 when he completed the first flight across the Channel. Blériot had three direct rivals in 1909, one of whom Hubert Latham, came close to making a crossing a few months earlier, but had to perform an emergency landing in the sea (another world first!). Incredibly, Blériot hadn’t visited Dover beforehand to work out where he was going to land, instead looking for a signal given by the journalist Charles Fontaine, waving a big Tricolour flag at Northfall Meadow. The exact spot where Blériot’s plane came to earth with a bump on July 25 1909 has been marked with a plaque and the stone outline of a plane. 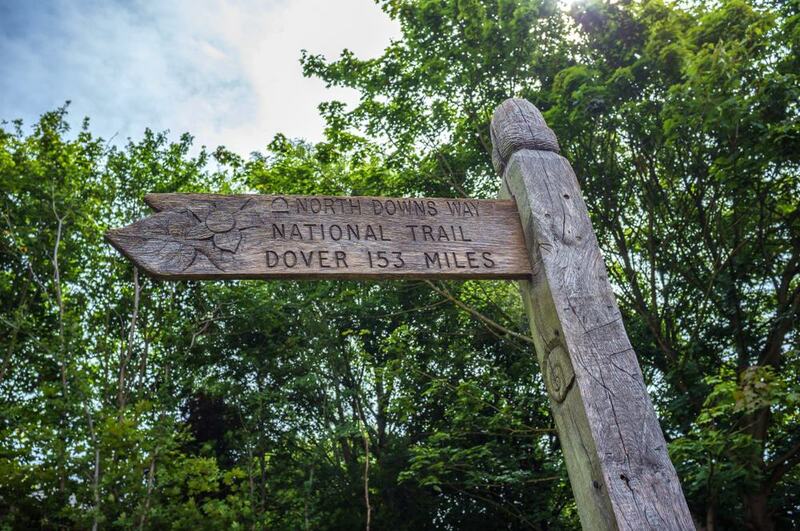 Dover is the finishing point for the North Downs Way, a 153-mile National Trail that begins in Farnham in Surrey. You don’t need to be a grizzled hiker to walk a section: Shepherdswell, 8.5 miles away, would be a good destination for a gentle stroll. The trail leads you through green rambling hills, grazing the Kent Downs Area of Outstanding Natural Beauty. It’s an interesting walk, crossing a disused railway line and passing Waldershare House, dating to the early 18th century. The house is private, but you can poke around Waldershare Church, which goes back to the 1100s and has intriguing mortuary chapels from the turn of the 18th century. 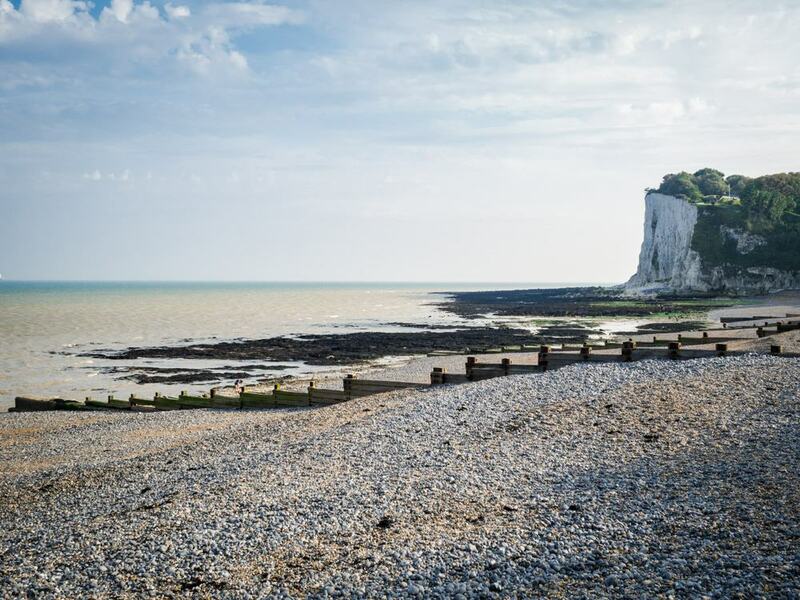 At Shepherdwell you can turn around and walk back to Dover with the sea on the horizon, or catch a train to Dover Priory for a nine-minute ride. This extraordinary network of forts, ramparts and ditches was begun at the end of the 18th century in time for the Napoleonic Wars. Western Heights was decommissioned not long after the Second World War, and now the site is partly maintained by English Heritage. The defensive linchpin here is the Citadel at the western end, with a well to ensure a water supply in times of siege. The Drop Redoubt is a fortress that was later reinforced with caponiers in the 1860s to counter the perceived threat of invasion by Napoleon III. 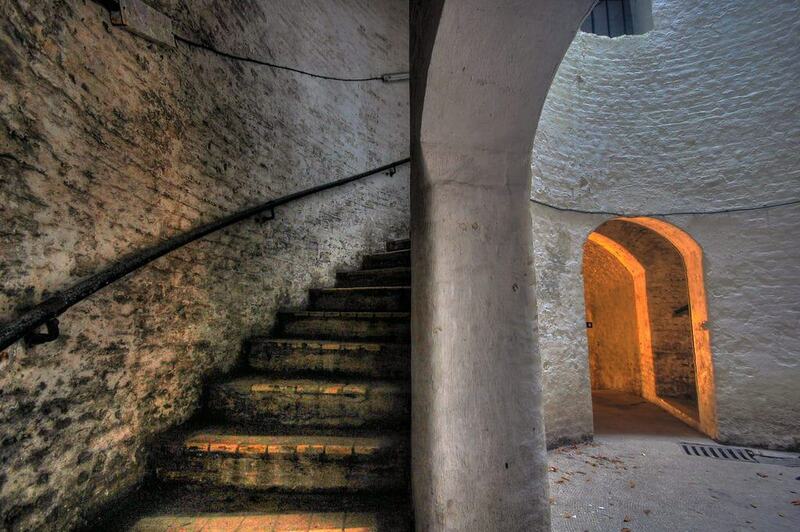 There are soldiers’ quarters in bombproof casemates from the early period, as well as officers’ quarters, cells and a guardroom from the 1860s. You can view Western Heights from the outside at any time, but for now the fortress can only be visited on open days. When the Western Heights was being built, a solution was required to link the fortress to the harbour at the foot of the cliff to allow troops and equipment to get up or down quickly. The answer was this amazing triple helix staircase, spiralling 50 metres through the cliffs, around a central lightwell eight metres in diameter. The project was finished around 1807, and rumour has it that there was a strict hierarchy to the stairways: One was for officers, another for warrant officers and the third for rank and file soldiers. As with Western Heights, opening times are restricted, but don’t miss the chance to see the Grand Shaft when it’s open.